The youngest United States athlete to participate in the Rio 2016 Olympic Games, Kanak Jha booked his place in the Buenos Aires 2018 Youth Olympic Games by emerging successful at the North American Continental Qualification Tournament staged in Las Vegas on Sunday 17th December. 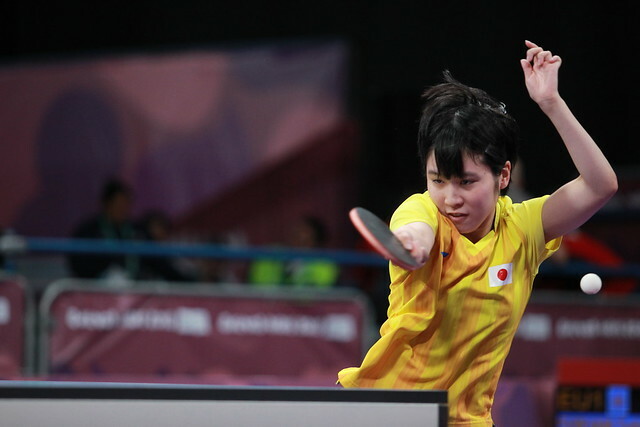 Success on home soil, it was the same in the counterpart Women’s Singles event; Amy Wang emerged victorious. Just one place available in each of the Men’s Singles and Women’s Singles events, a knock-out event, single elimination, was the order of the day; there was no room for error. A straight games win over compatriot Xie Tianming (11-5,11-2,11-6, 11-4) gave Kanak Jha the ideal start; he followed with success against Canada’s Luc Sicard in a similar vein (11-9, 11-4, 11-9, 11-5) but then when facing a further American at the semi-final stage, he found life much more testing. He needed to full seven games to overcome Nikhil Kumar (11-4, 10-12, 5-11, 5-11, 11-9, 11-8, 11-4). Testing times but a place in the final booked, he beat Canada’s Jeremy Hazin in a more comfortable manner to reserve his Buenos Aires invitation (11-7, 11-3, 11-6, 11-2). In the opposite half of the draw Jeremy Hazin had doused the hopes of the United States by beating Edward Ly (11-9, 11-6, 11-5, 4-11, 6-11, 11-5), Jack Wang (11-9, 9-11, 8-11, 11-8, 12-1, 14-12) and Victor Liu (11-8, 11-7, 11-9, 11-5). Third place finished in the hand of Victor Liu; he beat Nikhil Kumar in six games (11-9, 1-12, 11-3, 11-4, 9-11, 11-6). Impressive from Kanak Jha, it was even more impressive from Amy Wang, she was never extended the full seven games distance. Facing fellow Americans, she accounted for Laura Lai (11-5, 11-1, 11-4, 11-5), Benita Zhou (11-6,11-7,11-6, 11-5), Grace Yang (11-7, 7-11, 11-4, 11-8, 11-9) and Crystal Wang (11-9, 8-11, 11-5, 12-10, 11-7) to reserve her invitation to the Argentine capital city. Similarly, in the opposite half of the draw, Crystal Wang had imposed her authority on proceedings; en route to the final, she had beaten compatriots Isabelle Xiong (11-6, 11-5, 11-5, 11-8), Rachel Yang (11-7, 12-10, 11-3, 11-2) and Canada’s Ivy Liao (11-8, 11-7, 11-3, 11-6). Third place finished in the hands of Grace Yang, in the play-off contest she accounted for Ivy Liao (11-8, 11-6, 12-14, 5-11, 11-5, 11-7).